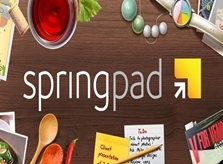 While you are surfing internet lots of things which come to you which you like to remember whenever in need,from articles to videos and much other content over internet, your problem has been solved by an Android Application called Springpad. Spring pad is a content saving applications which improves anything you save it provides with relevant suggestions which is useful. Basically it’s a note taking app which helps you taking note, make list, and write your ideas and whatever you like to remember for future purpose. 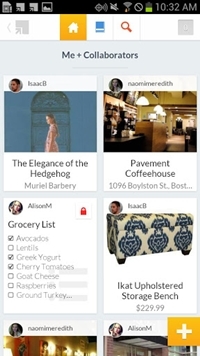 But Snigpad is not limited to this path it has some other useful features too such as you noted down a recipe in snagpad, App will help you in making an ingredients list for shopping using the recipe you have written. Snagpad also provide the convenient of saving articles which you liked to read later, support pictures and video saving. KEEP a new-movies-I-must-see list. We’ll let you know when they are on Netflix. 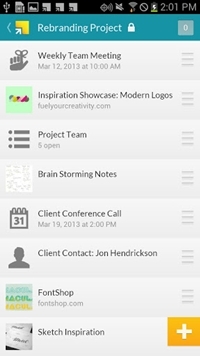 BUILD your personal to-do list with reminder alerts.